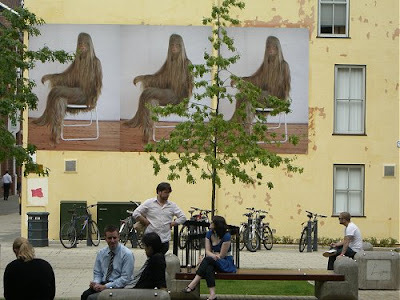 Because Every Hair Is Different by Marlene Haring; billboard, St George's Street. 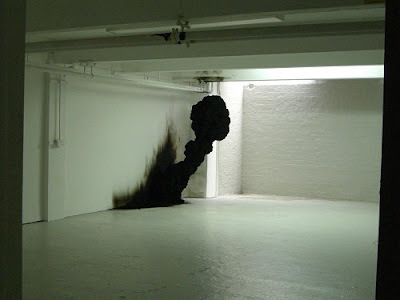 Dream - Spontaneous Combustion by Olaf Brzeski,Resin and Soot, 2008. William Goldman wrote that 'art tells you uncomfortable things that you perhaps don't want to hear, truths that you may not be comfortable to hear'. My photos were taken at Contemporary Art Norwich 09, a bi-annual event that uses the visual arts to demolish comfort zones with devastating effect. 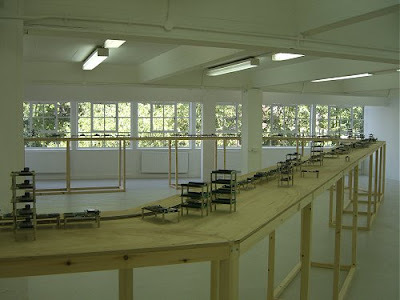 Contemporary Art Norwich 09 runs until 31 August, and also includes the work of Polish performance artist Tadeusz Kantor, whose Sea Symphony featured here recently. Highlights from CAN 07 here.